This is the third installment of Kratom Stories: Kratom Science Comments. These comments represent a fraction of the people who are helped by kratom, just part of the reason to #FollowTheScience and #KeepKratomLegal. I am completely new to this and was enlightened by the Netflix documentary “A Leaf of Faith”. I watched this documentary 9/9/18 a few days ago while in severe neck and shoulder pain causing migraines from hell. I had neck and back surgery replacing discs and have been in constant pain ever since. Desperate and at a breaking point with this pain. Drove to the nearest store and picked up 30 capsules of Maeng Da Kratom and took one right away. 30 min later pain decrease of about 70% and no headache. I can’t believe it!! i called my wife (out of town) and was telling her my miracle find. Recommend watching A Leaf of Faith and go from there. It works for me in such a short time and feel like a human again. I have been taking Maeng Da mostly for over a year and 6 months. I am 67 with spinal stenosios, severe degenerative disease, arthritis, carpal tunnel syndrome, neuropathy jn all extremities. I had a serious opiate problem as well. I take two heaping teaspoons every 2 to 3 hours. I get pain relief, alertness, energy and can work long shifts. I never get high. I do feel good. What i did to get off Suboxone (11 year on subs) is the following- micro dosed down to 1/2 mg maybe smaller. You can do this at 2mg as well. You may just need to take a bit more kratom at first. I purchased a kilo of red Hulu, or red Borneo, or even red maeng da. Read about toss and wash or tea method. I do both. Tea while at work, toss and wash at home. 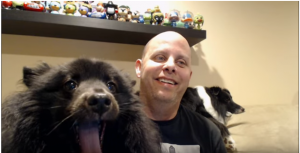 When you get your order. Start taking your kratom. Get a digital scale, if you don’t have one use a teaspoon. key word being TEASPOON… Find your sweet spot. (The right dosage amount for you) start with two teaspoons (That’s about 3.4 grams) Bare in mind your coming off a synthetic OPIOID, don’t feel discouraged. 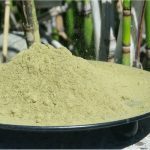 Your probably gonna take more at first, but the reality is less is more with kratom. When getting off opioids, you may need to stack your doses… Maybe a dose every 2-4 hours- listen to your body. You’ll know when it’s time to re-dose. The idea here is to not think about the Suboxone anymore. 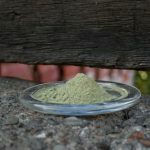 The withdrawal from that garbage is absolutely horrible, but taking your kratom WILL help tremendously with the physical and psychological dependence issues to the Suboxone. Take less subs, by taking the kratom. Your gonna prob need kratom for a while, while you reprogram yourself– but when you’re ready, you can take less and less kratom, till you may only need it when you have a migraine or feel pain. This is what I did. I’ve been off subs for 4 months. As of today I make tea the night before – typically 8 grams, and sip when I needed it throughout the day.. many times I have tea left over for the next day. You can totally get off subs with kratom. My life has been pure hell for the last 3 years suffering with RA, Fibromyalgia, migraines, which I had already completely cold Turkey got myself off pain medication. Then…I got sick. With the worst pain in my life. It was worse than childbirth pain. And it has been compared to cancer pain. 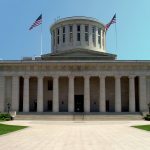 I have pancreatic duct disconnection syndrome, with chronic pancreatitis. I have wanted to die several times over. I was in and out of hospitals every 2-3 weeks on IV medications and once home, having to get off the pain meds and still be in excruciating pain. I am now preparing to have part of my pancreas and spleen removed. They have already taken my gallbladder and gone in by scope several times. It wasn’t until I found the kratom that just took the edge off from the pain, that I actually felt like I was going to make it through all of this. 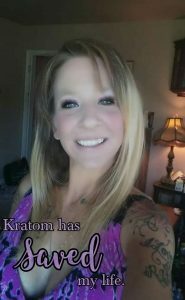 Kratom is a miracle for those of us that truly suffer. It’s not for getting high. If people want to get high, go find your crap on the streets like everyone else. That way it doesn’t effect those of us that are trying to live our lives like normal people. I been using different strains of Kratom for chronic pain and Methadone withdrawals. My experience has been that the white strains are for mostly energy with some pain relief and mood elevation. The greens are more mood elevation and pain relief while the reds are more sedating with pain relief. Red Maeng Da is an exception to the rule. Because it is a high breed strain it is very stimulating and provides the most pain relief for me. I take 3-5 grams of Kratom (different strains based on need) every 4-6 hours and stop taking the stimulating strains around 4pm so I can get to sleep between 10 and 11pm. Some of the other red strains can be used as a sleep aid. Everyone has a different tolerance so start out with 2 grams and work your way up as needed for the desired result. I limit myself to no more than 18 grams per day. I was hooked on 30mg oxycodone for 10 years. I have tried to quit cold turkey several times and found it was damn near impossible. Kratom is the only thing that has worked for me. In the morning I take 3gm of the green Maeng Da (for energy boost, anti diarrhea, and overall good mood) in the PM I take 3-5g of the red vein Bali. Every one is different how they respond but just thought I’d share my experience. i take kratom daily for pain and depression. i’ve had abdominal surgery and have dealt with physical pain myself. i was on pain meds for a short time before they cut me off when i was still in severe pain. Of course no one listened so i was forced to medicate myself. 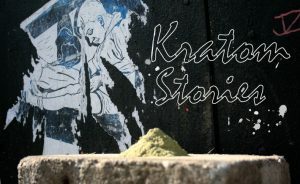 i had already knew about kratom but always took it for recreation. So i tried the Red Bali and saw a dramatic difference in both physical pain and the mental anguish that comes with it. Anyway i highly recommend you try Red Bali Kratom start with 4.5 to 5gs to see how u feel then adjust dose as necessary. just don’t take with your pain meds, that’s Important. It has helped me through so much and am glad i started taking kratom instead. Hope this helps a little bit and good luck. I’ve been on opioid pain killers for 10 years because of severe back issues. I’ve had a fusion and disc replacement in 2007 and I’m still in pain. The last 4 years I’ve been bedridden and in a wheelchair because Insurance was fine with me taking 150mgs a day of pain meds, but not approving the surgeries I needed. Finally a special person paid for both surgeries to fuse my SI joints and that pain is gone, but my lower back pain keeps getting worse. I wanted off my pain meds and I’ve been completely off for 30 days today. I started taking a mixture of a red and green strain of Kratom just 3 days ago. No pain, my withdrawal symptoms that I was still experiencing because I’d been on opioids for 10 years are gone, and I’m finally sleeping for 6 straight hours at a time, instead of 2-3 because I’ve been taking another strain of Kratom to help me sleep. I don’t even spend what I spent on 1 of my pain meds for the Kratom I need and it lasts me over a month. I’m finally living and not just existing in bed day after day.